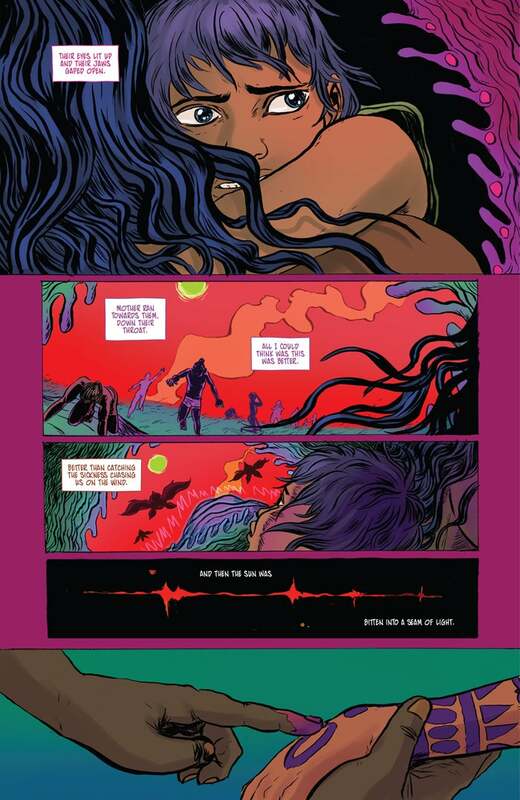 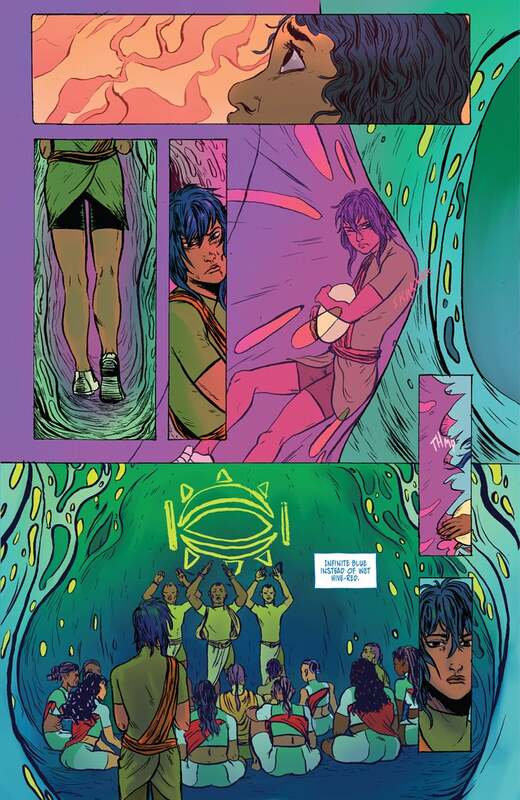 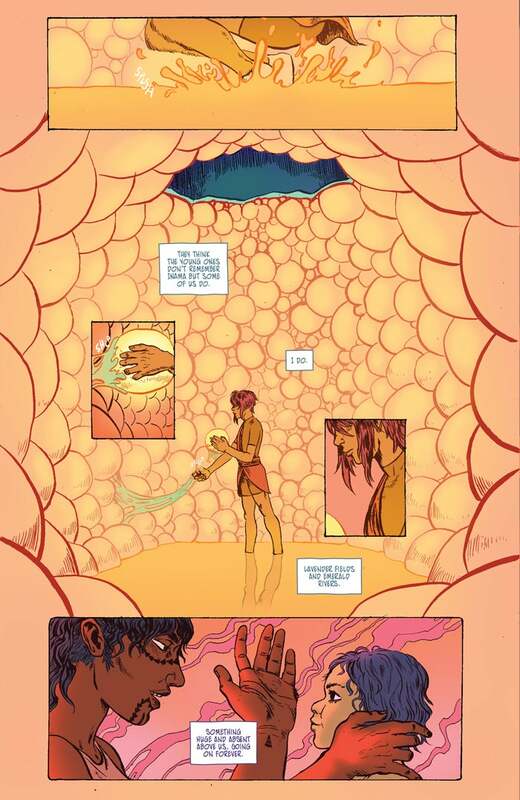 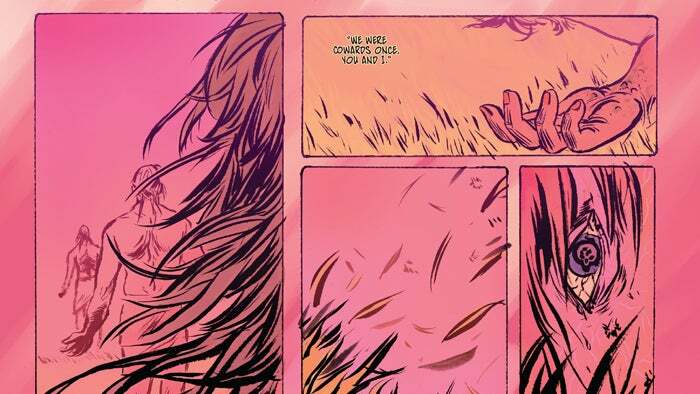 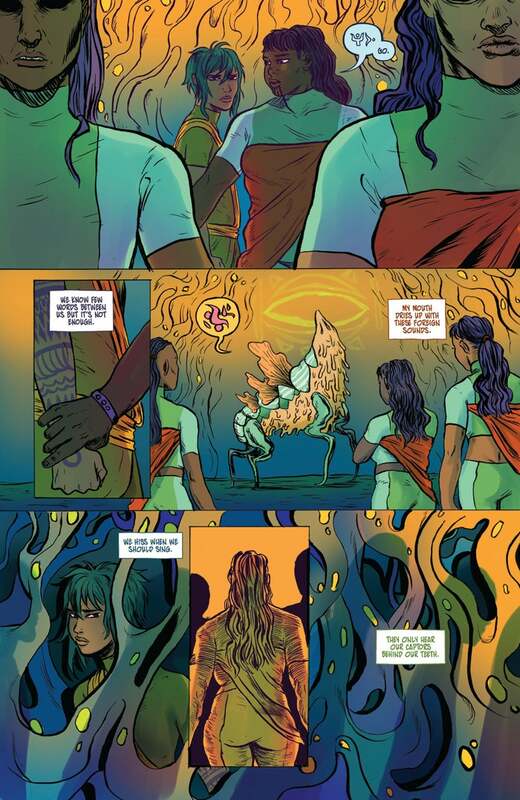 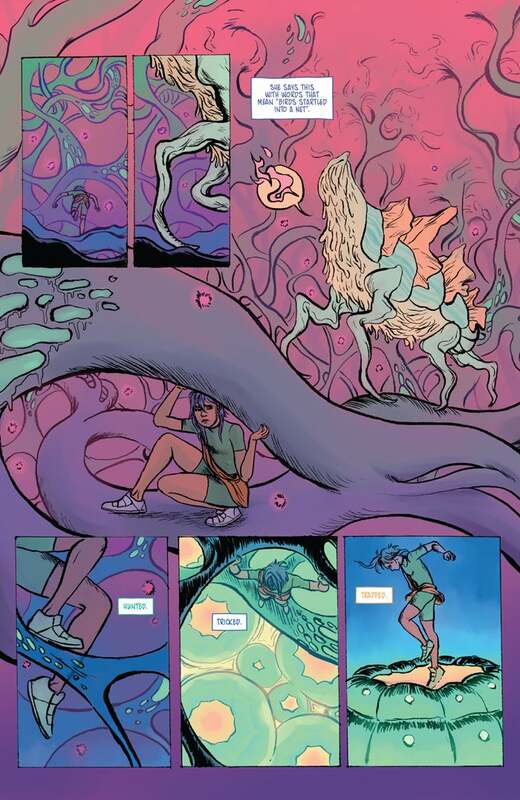 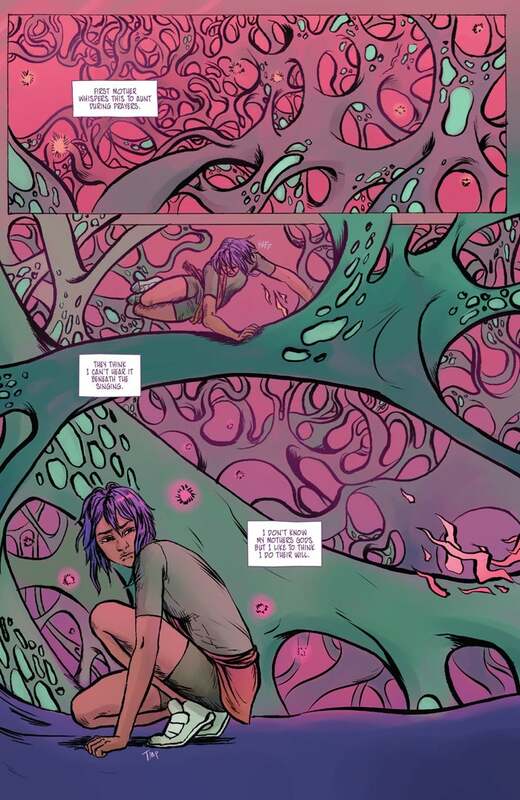 Published by Image Comics, Prism Stalker is a new psycedelic sci-fi comic series written and drawn by Sloane Leong (From Under Mountains), with lettering by Ariana Maher (Ringside). 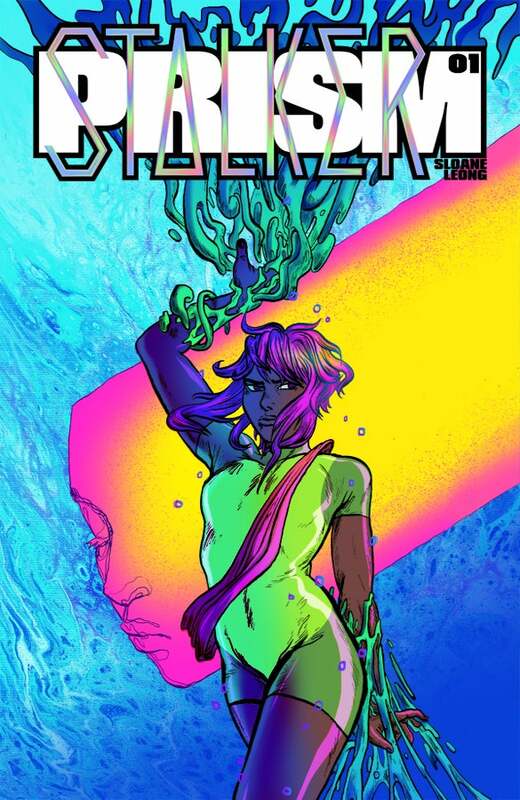 We are thrilled to be able to premiere the first nine pages from issue #1, which will be released in March 2018. 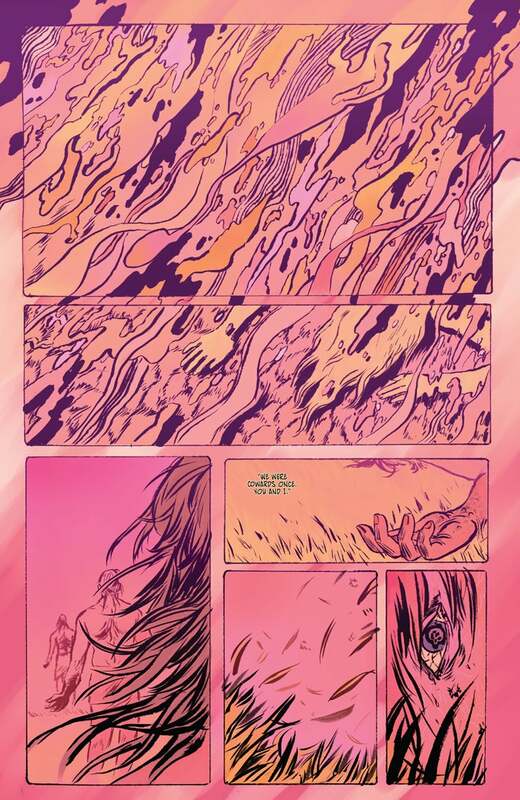 PRISM STALKER will launch in March, written and drawn by Sloane Leong (FROM UNDER MOUNTAINS). 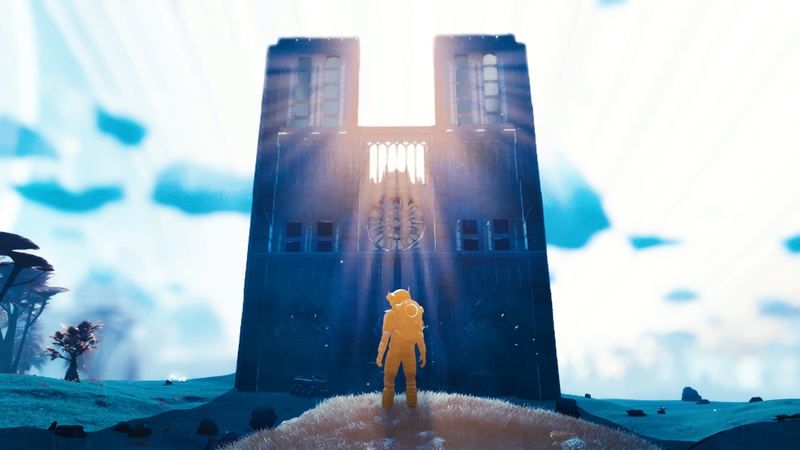 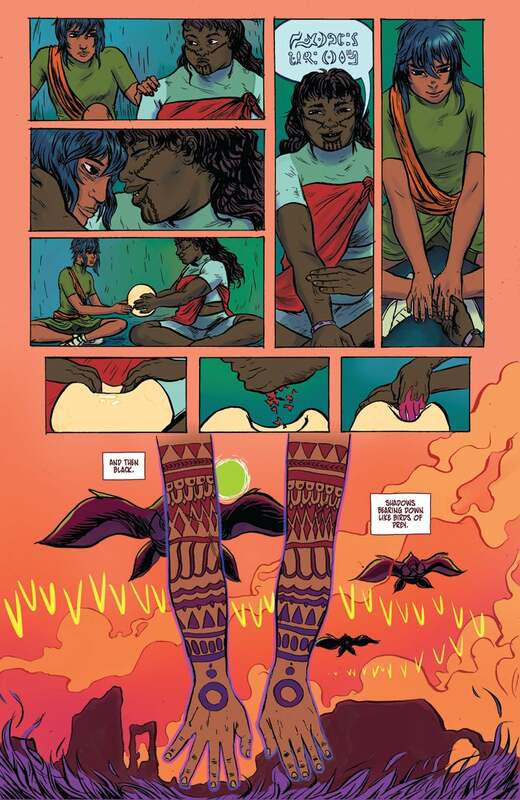 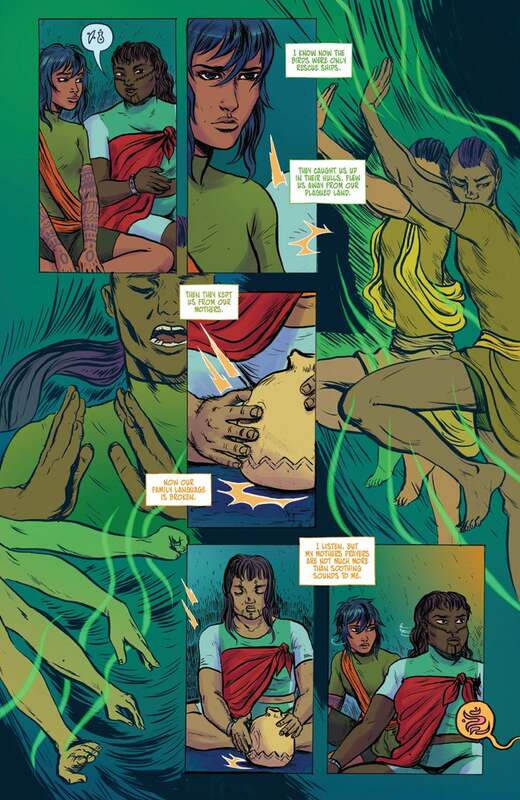 Check out the pages below, which craft a stunning world out of colour and word, ruminating on an alien tragedy but also on colonialism, heritage and home.